There is sometimes an upside to being broke: it makes you more creative. There are lots of fun activities to do in Bordeaux, though not all of them are free or suitable for a date. Luckily, this list of free and cheap date ideas will help you save the day… and some money. Aside for when it’s cold, walking around Bordeaux is the best way to discover the city. Take the tram until the Stalingrad stop and start your romantic promenade by crossing the iconic Pont de Pierre and witness the Garonne River running underneath you. Then take a right and stroll the docks alongside the joggers. 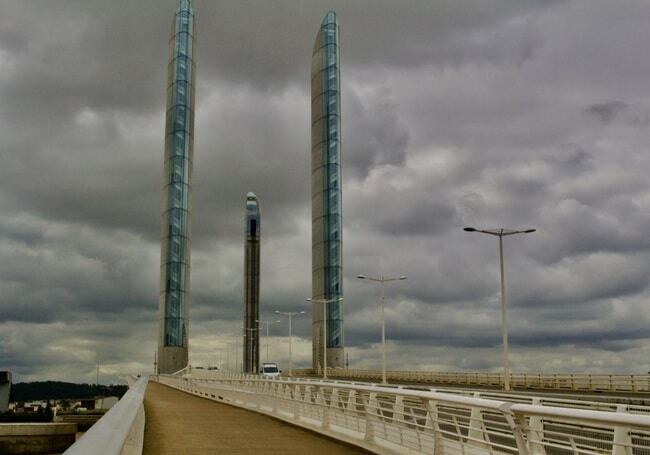 Once you arrive at Pont Chaban Delmas, pause for a minute to admire this architectural beauty. Art and nature lovers, why not make like Manet’s Le déjeuner sur l’herbe (Luncheon on the Grass) and use one of the stunning parks in town to have a romantic picnic? Grab a blanket, a few drinks and snacks and enjoy each other’s company and being outdoors. Going to the movies for a date might seem rather traditional, but that’s because you’ve not been to Utopia Cinema yet. This former church transformed into a movie theater is superb, while the film selection is exquisite. If your date is into independent cinema, they’ll surely enjoy this place and appreciate your effort. Plus, a kiss in the dark is always rather exciting. 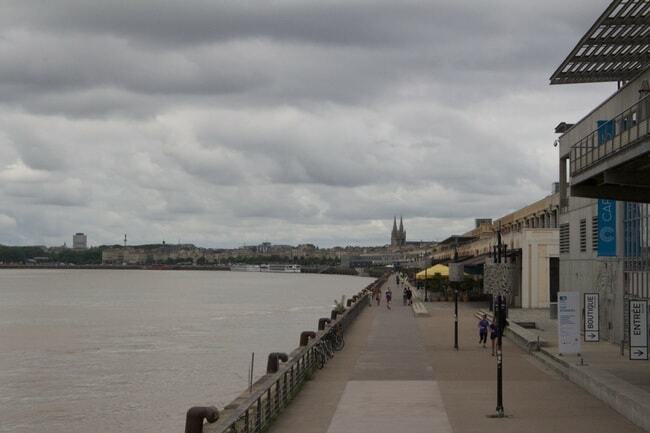 Bordeaux is relatively close to the ocean and you should take advantage of this fact and spend a day at the seaside. Take one of the many trains to Arcachon and head to one of Bordeaux locals’ favorite weekend gateways. 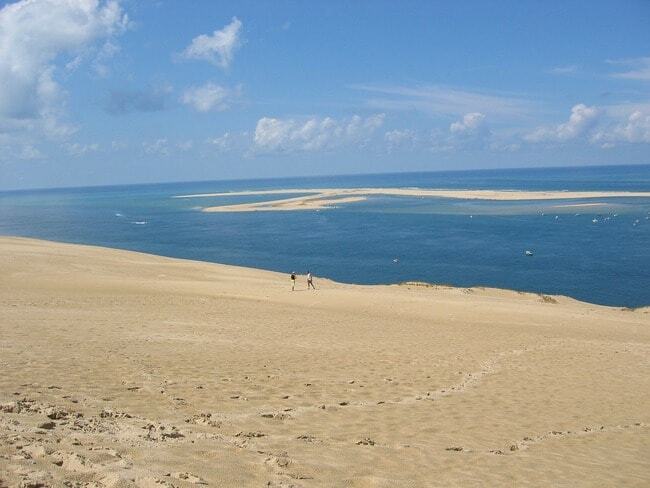 You should also make a stop at Pyla-sur Mer and climb the Grande Dune du Pilat, Europe’s tallest sand dune. The view from the top will take your breath away. Dining in the dark is a recent foodie trend and can be a fun way for you and your partner to explore the senses. Some people though might feel uncomfortable having a blindfolded meal alongside strangers, so you can recreate this atmosphere at home with an intimate dinner date. You’ll have your privacy and it’s a smooth way to create a romantic ambiance. Go back in time and rollerblade around the city like when you were kids. This is a fun activity to do together and it will only cost you to rent the materials. You won’t have a problem finding a good skating spot as Bordeaux is pretty flat – just make sure to stay within pedestrian areas. What about you hit the streets and model for each other? To make it even more fun, dress up and improvise a photo-shoot at some of the famous attractions around town. A few heads might turn as you walk around looking funny but who cares? Get the photos printed, then gather them in a scrapbook along with other bits and pieces from your date so you can remember what a fun time you had. We’ve seen countless scenes in rom-coms with people kissing in front of the Eiffel Tower, but Bordeaux has its own kissing spots that will make the capital just a bit jealous. After dining in the vibrant Place du Parlement area, take the Rue Saint-Rémi and you’ll end up facing the incredible Fontaine des Trois Grâces in the Place de la Bourse – a perfect place for a first kiss. Bordeaux locals, this one is for you. Dating someone out of town or a tourist is a frequent occurrence, meaning you get to show them around the best spots only locals know about. Plan a date at your favorite place in the city – be sure to pick a venue they don’t know – and explain why it’s important to you. This cute gesture will help create a special, new memory for the both of you. Have a laugh and witness the makings of the next superstar! Okay, that might be pushing it in some cases, but it’s always fun to see a passionate performance on stage either way. The Houses of Parliament, HMS Victory and Sherlock Holmes bars are regularly hosting open-mic nights for people to showcase their talent. This idea requires a bit of knowledge about the city but it’s a fun way to plan a date. Call your partner up and give them instructions to go to a specific location where they will find your next clue. The goal is to collect all the clues you’ve planted around town, eventually leading them to your meeting point. Once they arrive, make sure you have prepared a small surprise reward – such as a bottle of wine and balloons, or their favorite pastry and a small gift.